What? More Wedges? Yep, Look For Them This Spring! 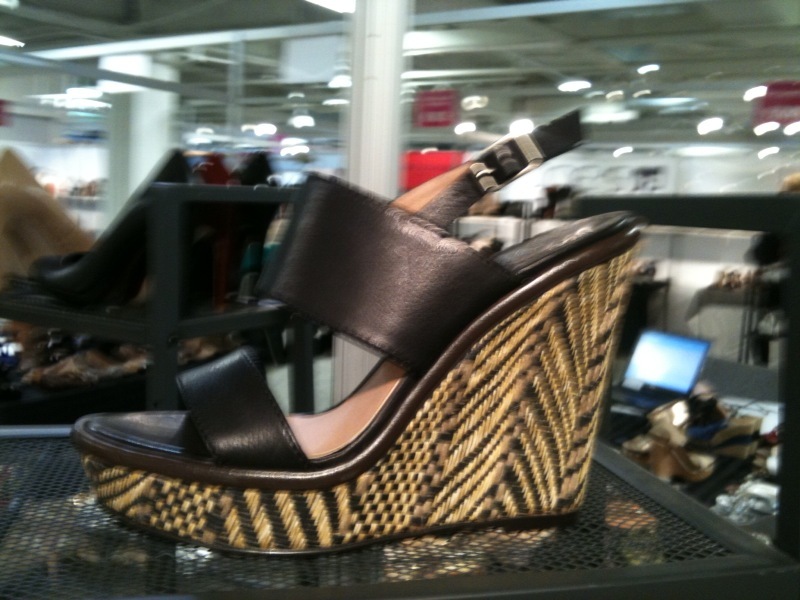 Wedges, wedges, wedges were all the rage at the shoe shows I attended this past month! 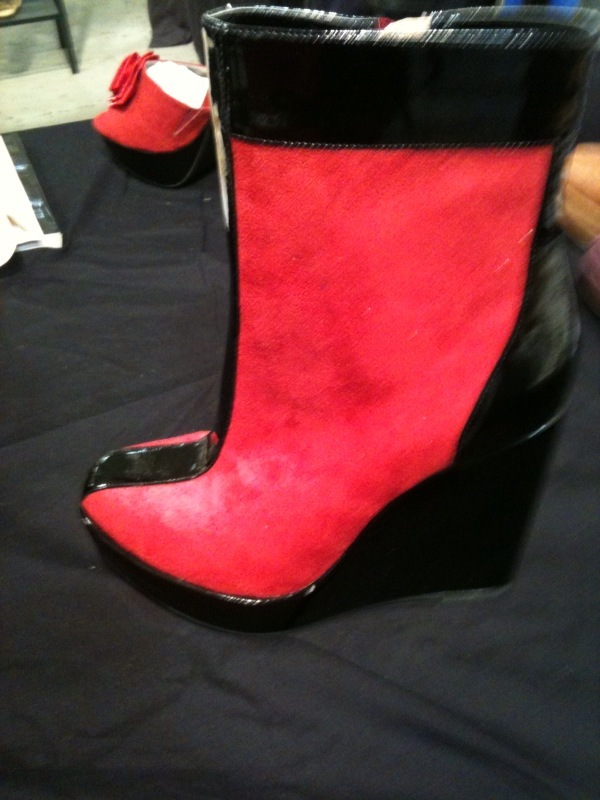 And they come in all types…open toe, closed toe, sandal, boot, ankle bootie, platform, etc. Check these out and let me know if you LOVE them, LIKE them, or HATE them! 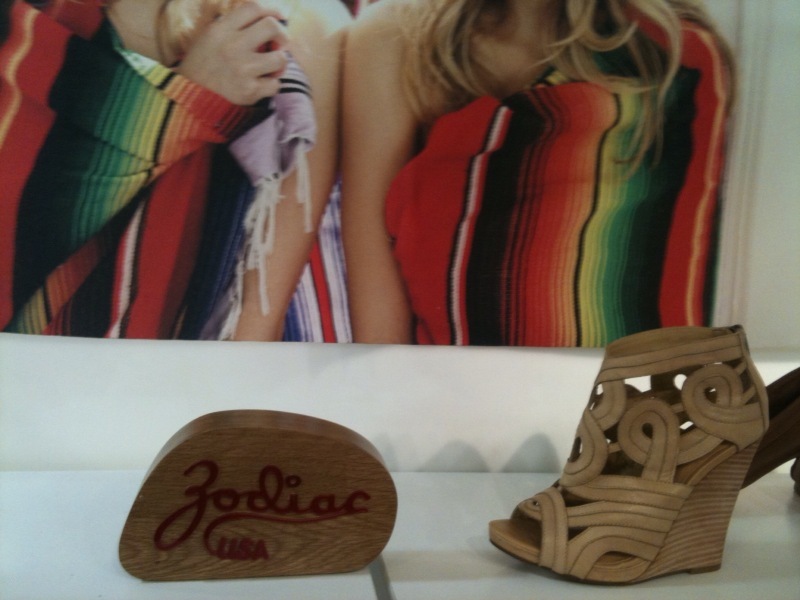 Love them or hate them, wedges are here to stay!!! 2011 Spring-Summer Shoes Coming Soon To A Store Near You! This is my last post on the shoes from the LA Transit Shoe Show two weeks ago on the eve of the Fall/Winter FFANY Shoe Show, so I put together this collage of my last photos from the show…enjoy! Suede Platform Sandals by L.A.M.B. Satin Platform Sandals with Lace-up Ankle Straps by L.A.M.B. 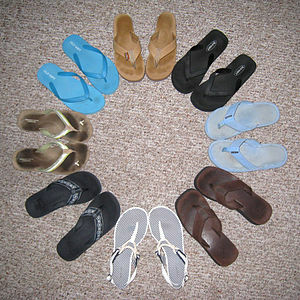 Feel free to comment on any of these shoes! 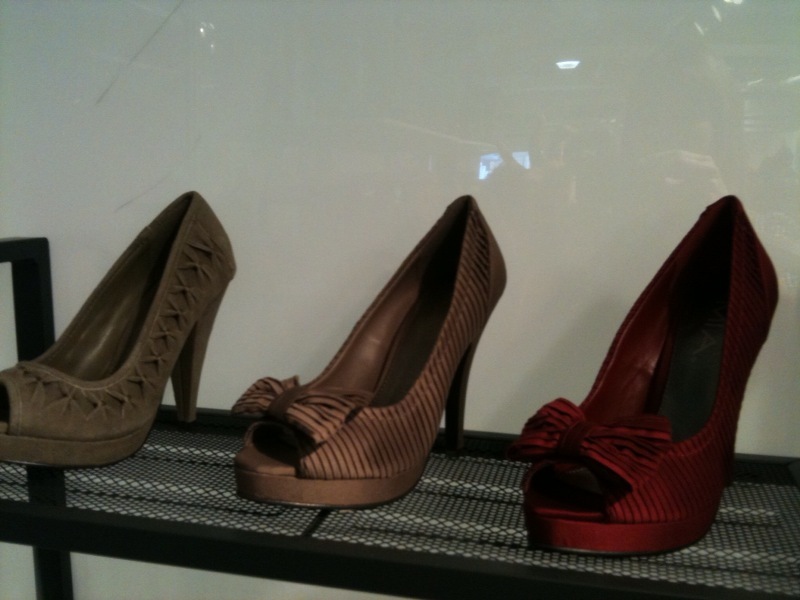 LA Transit Shoe Show: Ruffles and Bows and Flowers, Oh My! 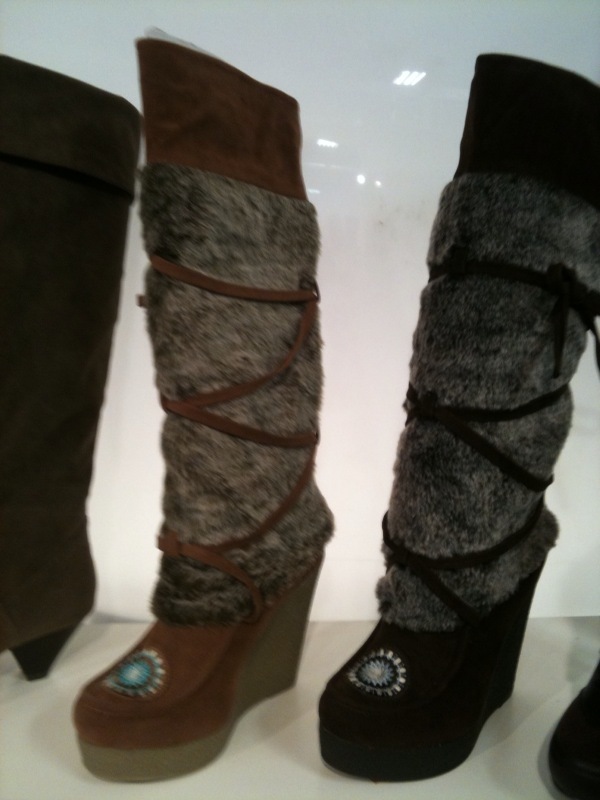 Another trend at the 2011 Spring-Summer L.A. Transit Shoe Show was the detailing on the shoes such as ruffles, knots, bows, flowers, and rosettes. This row of vertical ruffles on these platform ankle booties were popular in 2010 too, but in 2011 we’re going to see more of them on heels, booties, and flats, and they will be found in every color, material, and even print! These satin open toe pumps with the horizontal ruffles by Carlos Santana were divine in almost every color of the rainbow! I personally like the more neutral shades as pictured above, but there were very bright ones as well which can tend to look like bridesmaid shoes (and that could be a good thing if you’re looking for pretty bridesmaid shoes!). 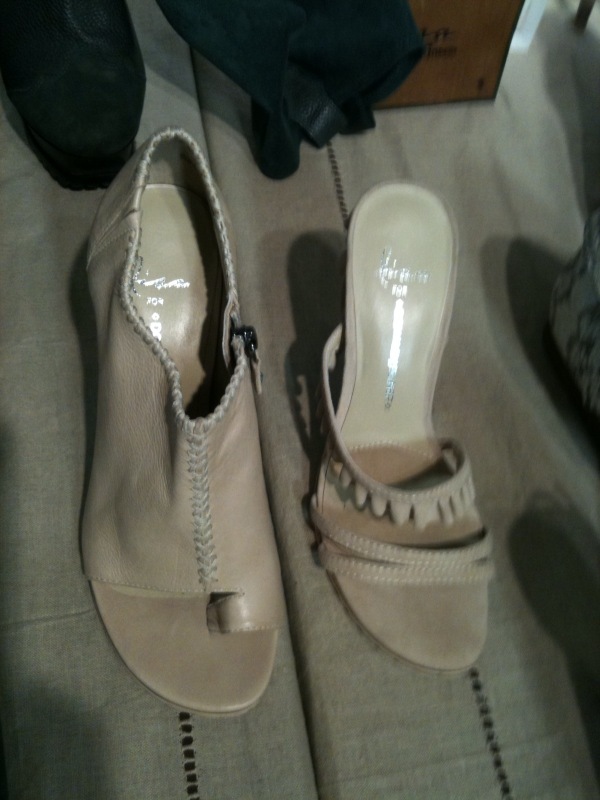 The knotted detail on these platform sandals pictured here felt so soft in a very light cloth material. 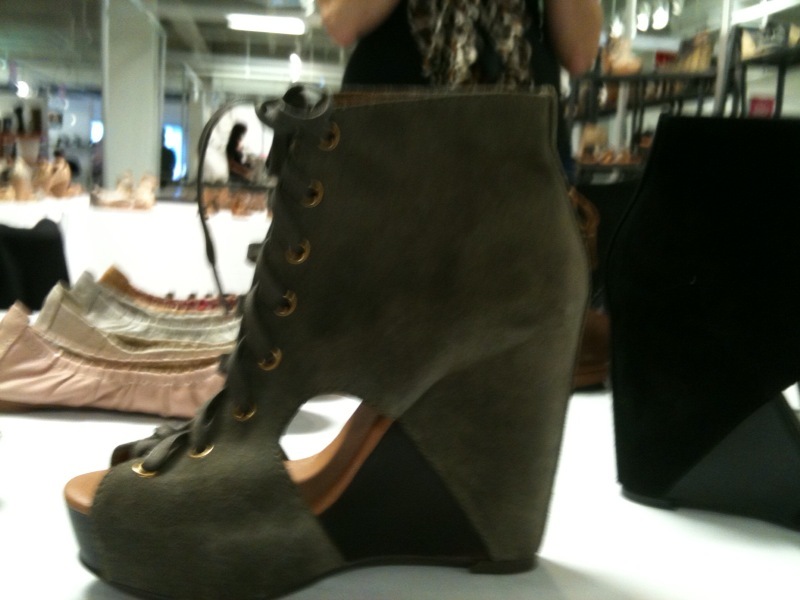 I suspect these shoes are pretty comfortable as well with the soft material, cushioned platform, and big chunky heel. 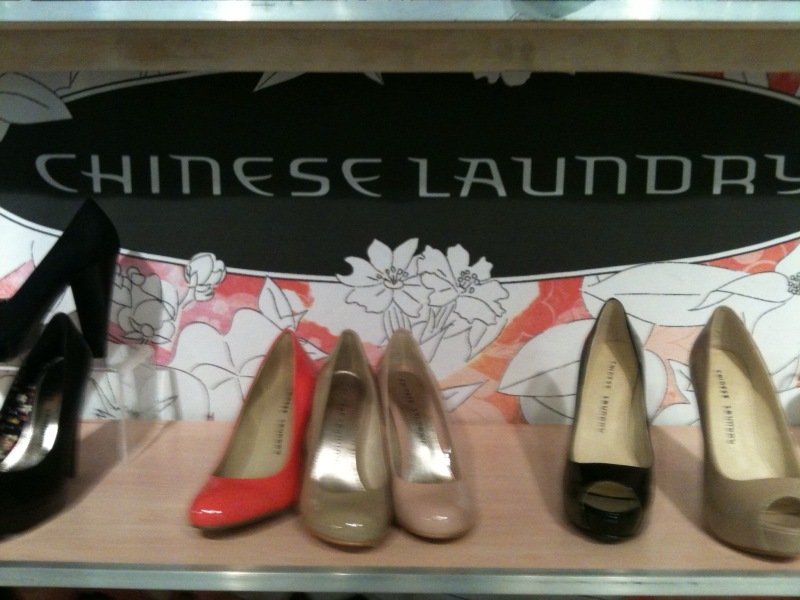 Here is another satin open toe platform pump but this time with bows and pleated satin details. I love both colors pictured here. 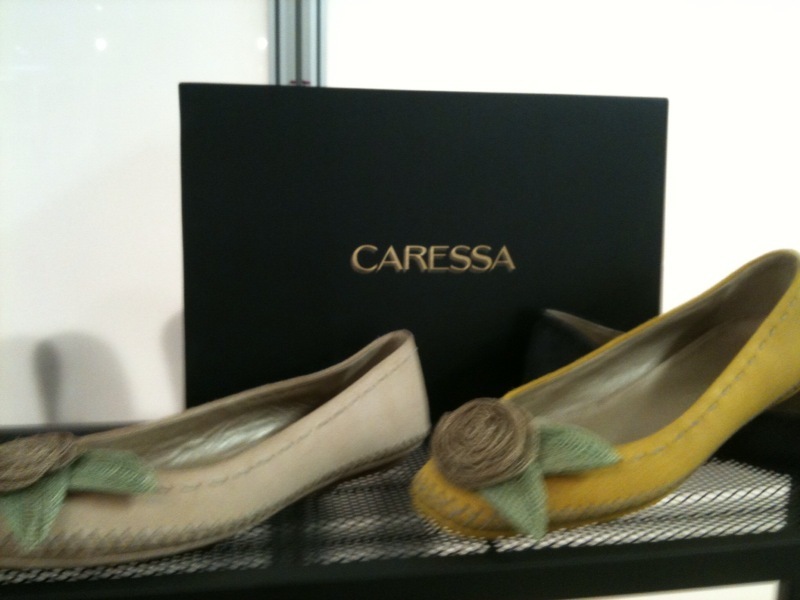 I know, I know, what are these flats doing in the mix with all of these heels…but with the flower (and leaf) details on these shoes by Caressa, I had to include them! The pink platform wedge sandals (center) by Lisa for Donald J. Pliner feature two flowers on the straps, and I think these must be one of the most comfortable shoes in this post with the cork wedge and the rubber traction sole. Well, I hope you liked the ruffles, bows, and flowers…usually people love them or hate them…so which side are you on? Feel free to comment on any of these shoes! To kick off the weekend, tonight I’m showcasing some of sparkly, glittery, and flashy heels that will be available soon for the spring and summer. Enjoy! These peep toe pumps by Paris Hilton with the sparkly bows were very pretty and looked comfortable with the padding in the insole. Notice the pink padding in the ball area of the foot in each of their shoes. Yes, you have seen this photo before (in the Animal Print post), but now I want to showcase the glitter platform pumps by Rick Bella Shoes/Wah Lei Footwear. They are already taking orders and selling out of these as fast as they can get them! 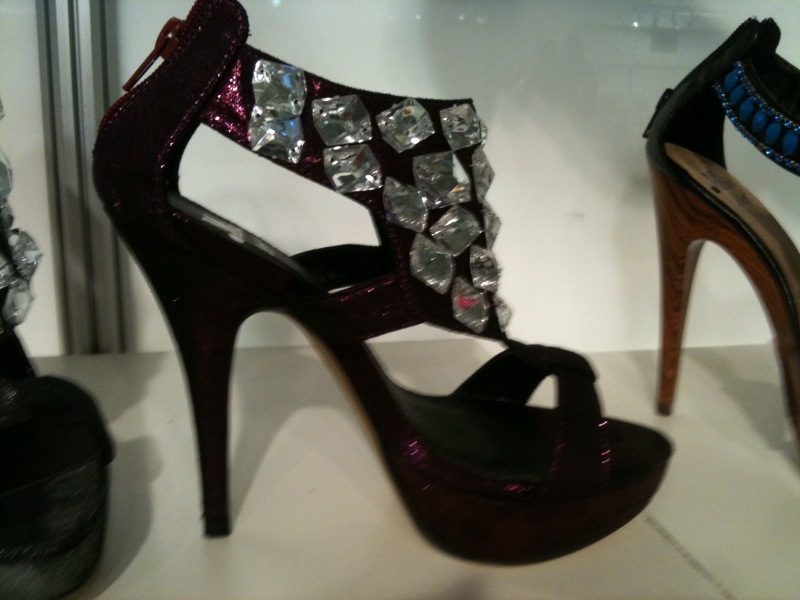 Each of the silver, gold, and pewter glitter pumps are beautiful…and once again, I wish I could have tried them on!!! Soon enough I will! Well, I hope you got a little taste for what is going to be hot this year in the spring & summer. Enjoy! Please comment on your faves or your least faves!